Integrated campaign fighting the Government’s proposed 'snoopers’ charter'. Responsible for: concepts, copywriting, art direction and creative direction. 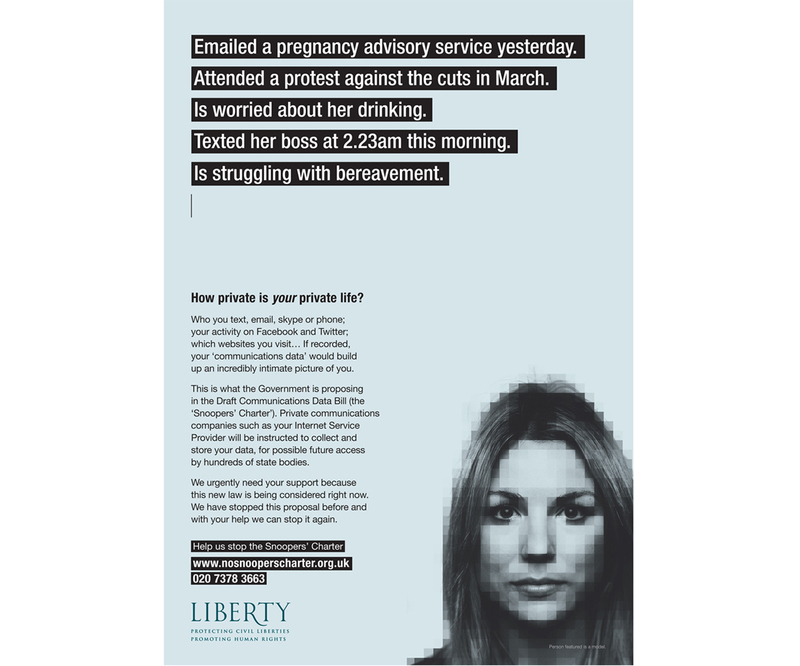 Liberty – Concepts, copywriter, art director and creative director. Dubbed the ‘snoopers’ charter’, the Government’s proposed communications data bill would allow unrestricted access to the UK’s texts, emails, telephone calls, social media and internet activity. 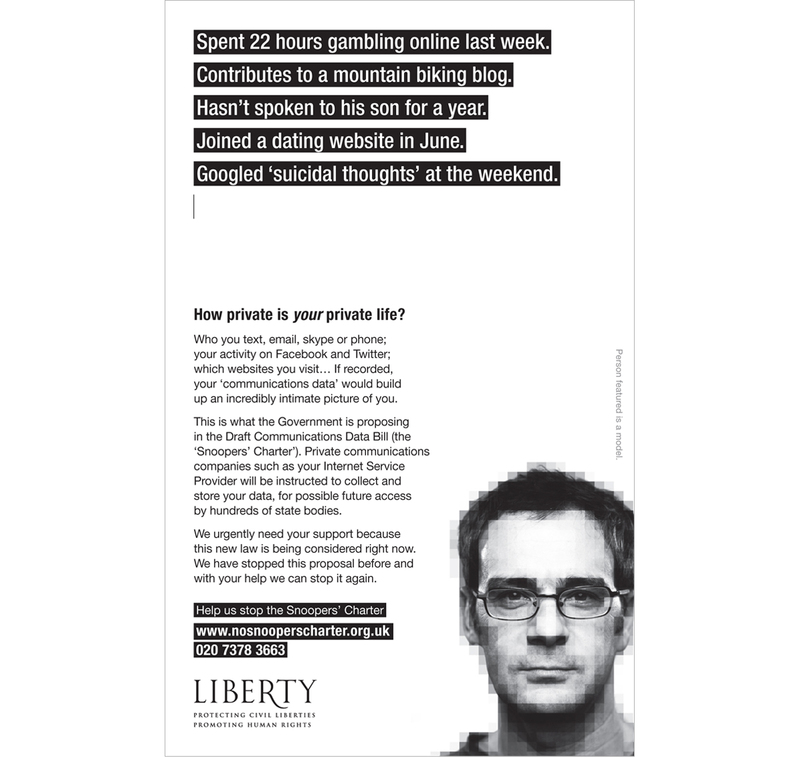 This integrated campaign raised awareness, generated donations, increased membership subscriptions and ultimately helped Liberty to force the bill to be scrapped. Press advertising, press inserts, direct mail, email marketing, digital advertising and web landing pages. Concepts, copywriter, art director and creative director.